Wood fireplaces are good, but nothing beats the convenience of getting a fire burning with the push of a knob. This is what a gas fireplace will offer. Moreover, this fireplace option requires minimal cleanup and guarantees the distribution of heat throughout your interior. Most people assume that gas fireplaces feature unconvincing “logs” and weak blue flames and would rather opt for an authentic fireplace look. Gas fireplaces nowadays feature tall orange-yellow flames and glowing red embers and are as realistic-looking as traditional fireplaces. Although gas fireplaces might have no visible residues of combustion, their cleanup is essential. Before the cleaning, a technician will switch off your gas valve. The control compartment and burner are brushed and vacuumed at least annually. A soft brush will be used to clean spider webs and debris from the logs. This is the best choice to guarantee the fragile log materials will not break. The glass screen of your gas fireplace will be wiped using a non-abrasive cleaner and a damp cloth. During your routine maintenance, the venting systems of your fireplace will be checked to guarantee that there are no clogs blocking airflow. If your venting systems are not routinely inspected, you might not readily diagnose corrosion and wear that will affect the operation of your fireplace. During the maintenance of your venting system, the cap of the vent will be removed. A flashlight or camera is then used to assess the presence of cracks, pests, and debris that will compromise your fireplace’s safety. Signs of condensation in your vents are also assessed since moisture will contribute to the corrosion of your fireplace’s fittings and pipes. If there are any broken logs in your fireplace, then you should switch it off since these cause carbon accumulation, which destroys your fireplace. 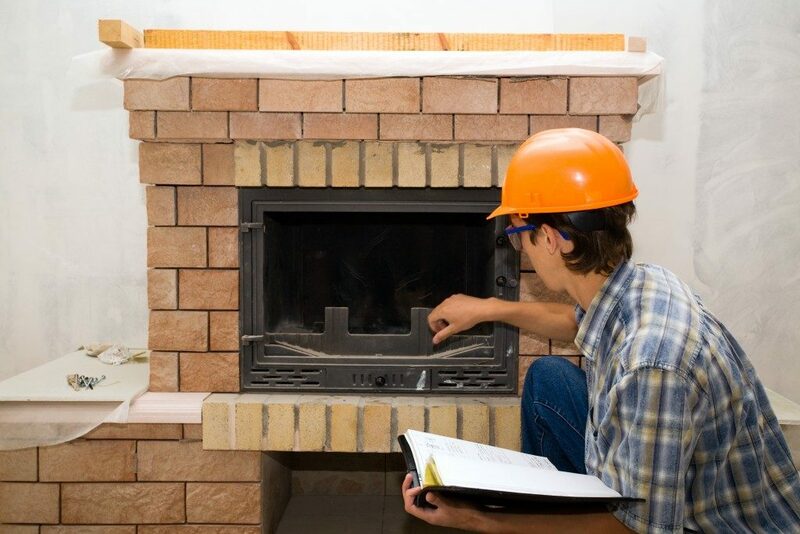 Your maintenance expert will assess your fireplace’s logs for any cracks and replace the cracked ones. The placement of the replacement logs is done carefully to guarantee that they are firmly and safely connected to the gas based on a manufacturer’s guidelines. The latch of your fireplace’s screen should fit tight so that it creates a perfect seal. Howsoever, the continued heat of your fireplace might loosen the fastener and prevent the formation of a tight seal. During your fireplace’s maintenance, the screws of your screen are oiled and tightened to guarantee your fireplace’s safety. Safety is a primary element in the operation of a gas fireplace. The aspects of a maintenance service mentioned above are designed to ensure the continued safety of your fireplace while boosting its optimal functioning. The rate of your routine maintenance will depend on the frequency of your fireplace’s use and your environmental conditions.